Blewett Pass 1 inch chips. These dark blue shaded chips which are native to Washington's Blewett pass are excellent for a darker decorative rock landscape and is also easier on the feet if it needs to be walked on. Our topsoil is mixed with composted soil. Best application for this material are lawn preps and gardens and flower beds. this product is great for playgrounds and pathways. Round River Rock fresh out of Rock Island Pond is very clean and attractive choice for decorative landscape designs and is also a great choice for any drainage projects. Our brown basalt is one of the top basalts sold in the Wenatchee Valley. Best uses for this material are rock beds and hillsides. This product is great for driveways rv pads and pathways. this product is great for flower beds and is a great weed suppressant. Basin Basalt is a darker and smaller basalt from the Grant county basin area. 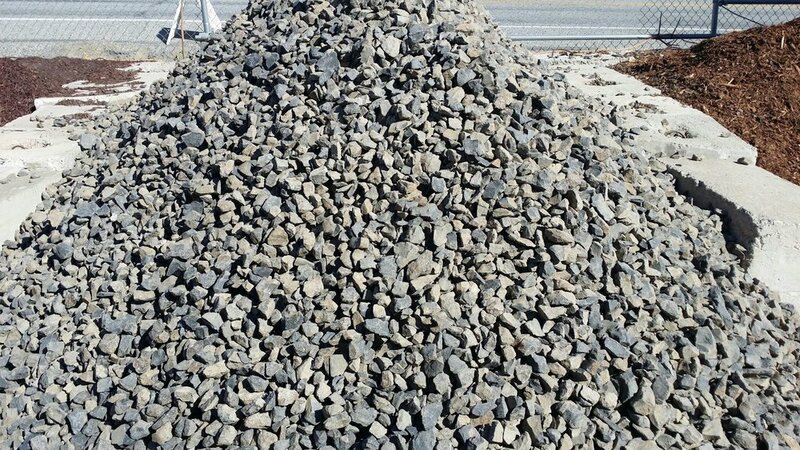 Great Applications for this material are decorative rock beds and rock borders. Another very pretty rock out of the Grant County Basin is this dark river rock. Same applications as our pond rock but with a darker color.